Two people have died in Southern California fires, bringing the death toll from massive blazes raging across the state to 11, according to authorities. 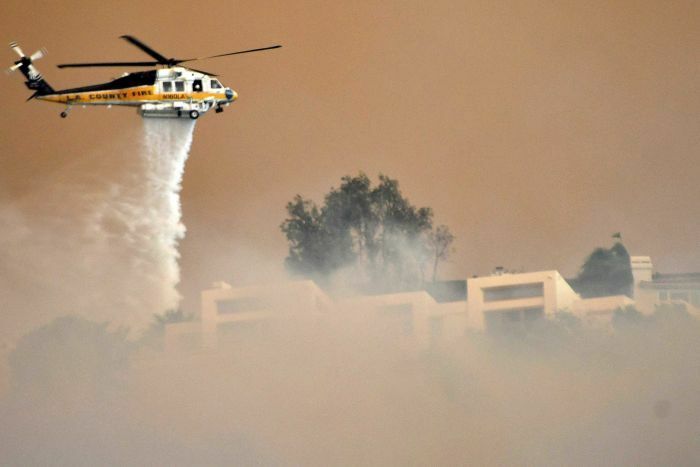 Los Angeles County sheriff’s chief John Benedict said two bodies were found in the fire zone of a Southern California blaze, the first fatalities from fires blazing north and west of downtown Los Angeles. He did not provide further details. Nine people had already perished in a blaze in the town of Paradise, in the state’s north. In less than two days, the Hill and Woolsey fires near Los Angeles have destroyed more than 150 homes and prompted evacuation orders for more than 250,000 people — including the entire city of Malibu, home to many Hollywood celebrities — officials said. 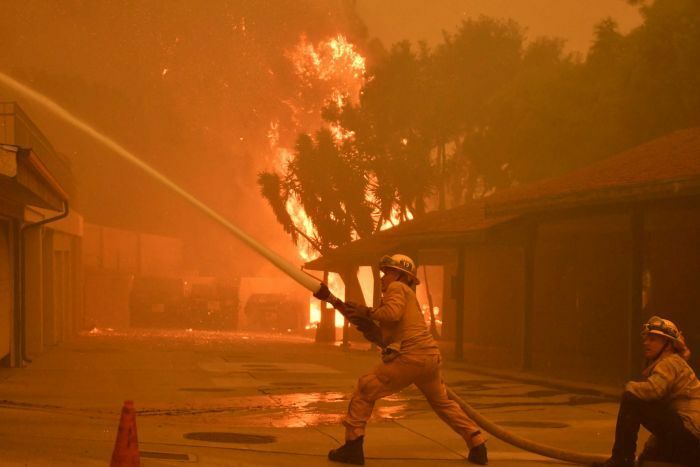 Winds that drove the flames through bone-dry hills and canyons north and west of downtown Los Angeles were expected to die down until Sunday (local time), when they would build again to 85 kilometres per hour with even higher gusts, forecasters predicted. 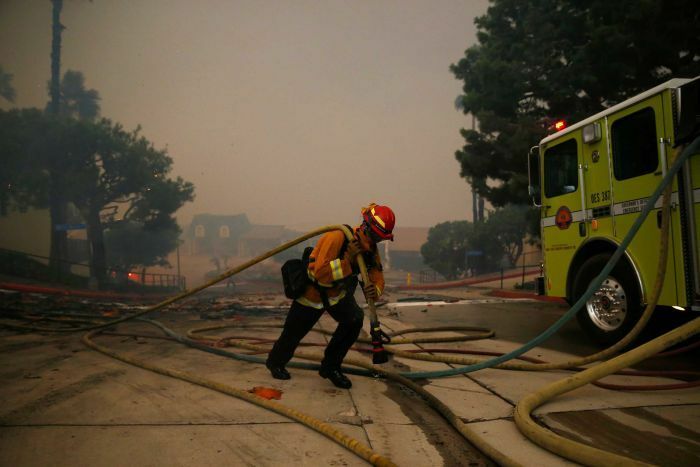 The lull on Saturday could give firefighters a chance to control the edges of the blazes and to swap fire crews, replacing firefighters who have worked for two days without rest, Los Angeles County fire chief Daryl Osby said. But with the winds set to return, it’s likely that more homes will be lost, Mr Osby warned. “There’s not going to be any relief in this firefight,” he said. By late on Friday night, firefighters had halted the advance of the smaller blaze, but the Woolsey fire surged. It doubled in size in hours — turning well over 141 square kilometres into ash and fields of glowing red embers. The two fires erupted on Thursday as warnings of extreme fire danger covered much of the state because of dry weather and strong winds. 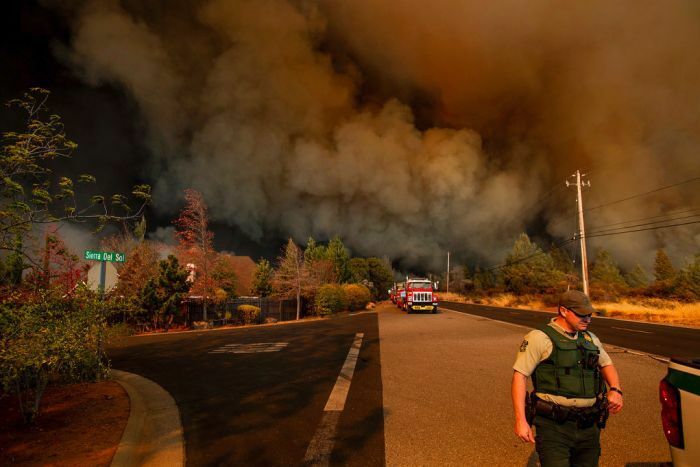 In Northern California, a fire incinerated most of the town of Paradise. Nine people died there, some in their cars as they tried to flee the flames. The state’s most destructive fire in at least a century has burned down more than 6,700 buildings, almost all of them homes. President Donald Trump issued an emergency declaration providing federal funding to help firefighters battling the fires. But he also took to Twitter to criticise forest management in the state as “poor”, threatening to revoke federal funding for California forest management unless action was taken to prevent future fires. In the south, flames leapt and raged from Thousand Oaks south through the north-western San Fernando Valley of Los Angeles and appeared headed toward the Pacific Ocean. Thousand Oaks was already reeling from a shooting at a country music bar that killed a dozen people this week. The fire raged on both sides of the city and shut down part of the main freeway into town. “It’s devastating. It’s like ‘welcome to hell’,” resident Cynthia Ball said. 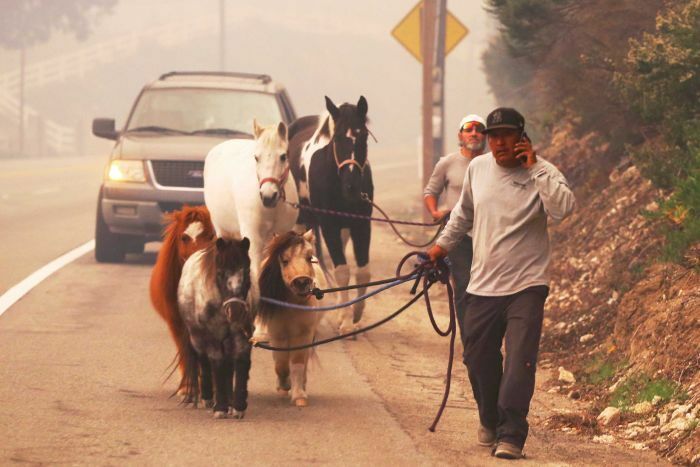 Three-quarters of the city of 130,000 was under evacuation orders, Thousand Oaks mayor Andy Fox said. 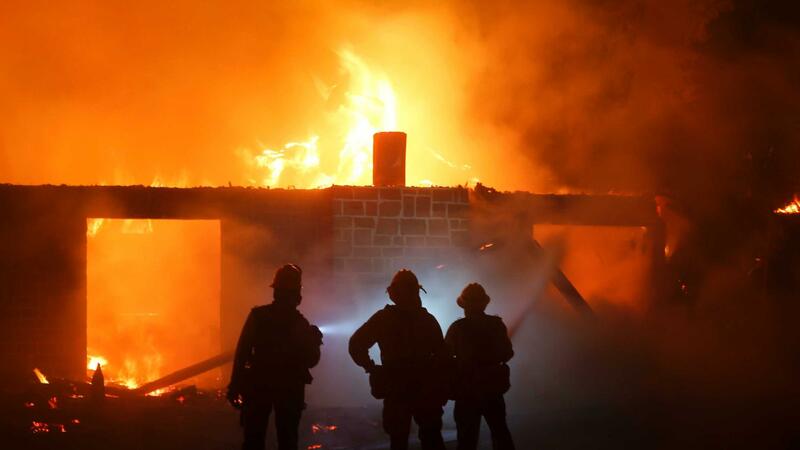 The Woolsey blaze also destroyed the home of Dr Strange director Scott Derrickson and the historic Paramount Ranch where HBO’s Westworld and many other shows have been filmed. Flames spread so quickly that firefighters couldn’t be everywhere at once, and many residents to take matters into their own hands. Firefighters pleaded with people to heed mandatory evacuation orders. Ventura County fire chief Mark Lorenzen said some firefighters were “literally pulling people out of burning homes”. “Even though the wind has died down, stay on guard,” he urged. At a mobile home park for seniors in Newbury Park, the fire came so quickly that residents had no time to gather medications and documents. Firefighters carried people from homes and put them in empty seats of their neighbours’ cars, said Carol Napoli, 74. Next Is Australia the next big ‘Big Short’ for global investors?